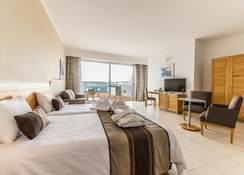 Dolmen Hotel Malta is 4-star all-inclusive set amidst a free private beach offering panoramic sea views in the St. Paul's Bay area of Malta. 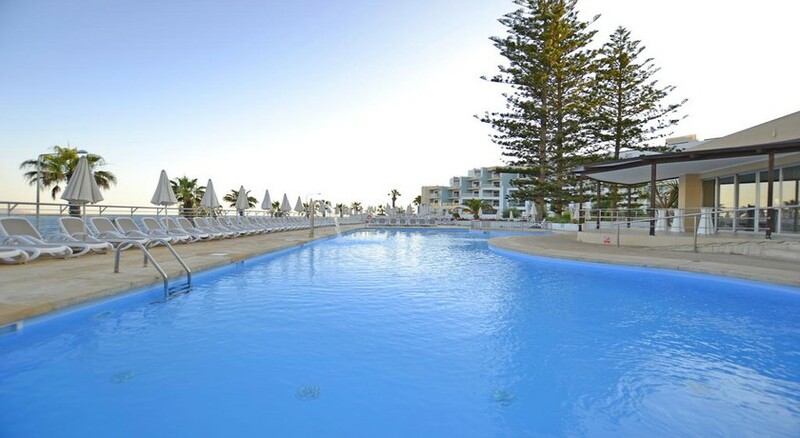 Boasting of an enviable location in the beautiful Qawra coast, the hotel welcomes its guests to experience a comfortable stay amidst warm Maltese hospitality with modern amenities like six swimming pools, spa, a hot tub, sauna, fitness centre and Wi-Fi. Modern, well-appointed guestrooms come with minibar, a satellite TV and a private a balcony or terrace. With four delightful restaurants serving a mix of Maltese and Mediterranean food, several bars, the hotel tries its best to make guests feel at home during their Malta holidays. 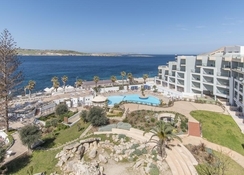 Situated along the beautiful Qawra coast, Dolmen Hotel Malta is nestled on a private beach in the St. Paul's Bay. 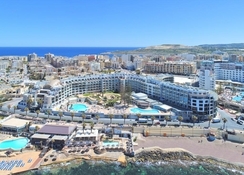 Just a short walk from the Bugibba Square and Malta National Aquarium, the hotel is 10km from the St. Paul's Islands. The Capital City of Valletta can be reached in half an hour by car. The Malta International Airport is 18.5km away. Dolmen Hotel has 484 immaculate, well-appointed guest rooms and suites equipped with air conditioning, mini bar, in-room safe, writing desk, flat screen LCD television, coffee & tea maker, telephone and hair dryer. They have private terraces and balcony providing amazing vies of the sea and surroundings. 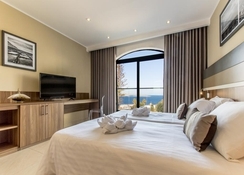 The room categories are standard inland rooms, standard sea view rooms, superior rooms and suites. Breakfast is buffet style, and includes cakes, fruit and cold meats. The complex features five restaurants serving a mix of Maltese and Mediterranean food. The all-inclusive option consists of breakfast, lunch, afternoon tea and dinner, as well as unlimited house wine, beer, soft drinks and mineral water during meals. Casual dining at the Menhir Restaurant to award winning a la carte choice provided in the Batubulan Sunset Grill and Café Delos. Carvv Steakhouse is the latest addition to the Dolmen Hotel outlets. 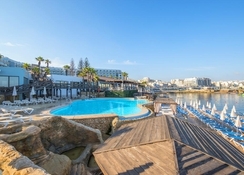 As many as six swimming pools, including salt water, infinity, indoor and kids’ pool and terrace besides access to the private beach invite guests of Dolmen Hotel Malta to have fun. There is a fully equipped gym for those who wish to stay active. There is a lovely spa with steam room offering massages and therapies. Guests can also shop at the shops on-site. There is lively evening entertainment organised by the hotel. There are several themed bars to relax with a cocktail, or gamble at the hotel casino. Bikes, boats and jet skis are available for rent.